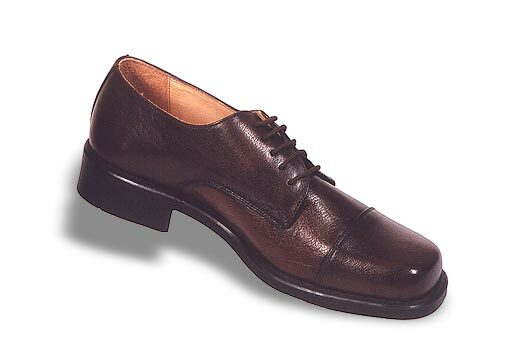 A lace-up Derby shoe made from glazed buff. It has a full EVA in the sock with a TPR sole and internal lining is of leather. The shoe is very comfortable for persons with heavy feet.